This case is the first before the Court of Justice specifically on the sharing economy and the extent to which coordination via platform should be treated as removing unnecessary red-tape, or as seeking to avoid regulation in the public interest (in the form of concerns about passenger safety) as well as permitting unfair competition. While the Commission seems in favour of the (unequal) sharing economy, Advocate General Szpunar sees the position a little differently. Spanish law envisaged that taxi firms, and transport intermediaries, should hold a licence. Asociación Profesional Elite Taxi (APET) sought to challenge the use Uberpop, an app which allows non-professional private drivers to transport passengers using the drivers’ own cars, where neither Uber nor the drivers have the requisite licences. Passenger users download the app from Uber and provide their bank details to Uber. On receiving a request for a car, the app notifies drivers and calculates the fare (this latter based on distance but also demand for taxi services at that time). The payment is made to Uber, which deducts a percentage and then pays the remainder to the driver. To use the app as a driver, an individual must comply with Uber’s terms and conditions. APET sought a cease and desist order and a prohibition of future similar behaviour on the basis of unfair competition. Uber resisted APET’s claims on the basis that it was not providing transport/taxi services but was rather a digital intermediary. The national court referred the questions of how to classify Uber’s services to the Court of Justice. The answer would affect with EU derived legal regime would be applied to Uber, with the corollary that the State’s freedom to impose licensing requirements would correspondingly vary depending on which regime was held to be applicable. In essence, the question was whether Uber fell within the provisions of the e-Commerce Directive (Directive 2000/31) as an information society service provider, or whether the Services Directive (Directive 2006/123) or the TFEU itself applied in this context. Here, there is a distinction between a service general and a service in the field of transportation. The first phase of the opinion comprises some general remarks about the significance of the ruling and the impact of different types of competence on the outcome. 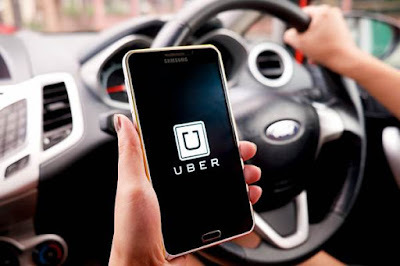 The Advocate General also assumed that the respondent in the case should be the Dutch company (Uber BV), which operates the app in the EU, rather than the Spanish company, Uber Spain, which is responsible for advertising. The Advocate-General then moved on to consider the scope of the e-Commerce Directive, specifically the meaning of ‘information society services’ as defined in Article 2(a) of that Directive by reference to Article 1(2) of Directive 98/34 (the Directive on notifying new technical barriers to trade). Under Article 1(2), an information society must be a service provided for remuneration, at a distance, by electronic means and at the individual request of a recipient. In the view of the Advocate-General, the questions of whether there is a service provided for remuneration and at individual request appeared unproblematic [para 27], but questions arose as to the test of whether the service is provided at a distance by electronic means. In the eyes of the Advocate General the problem related to the fact that what was in issue was a ‘composite service’ [para 28]. - where the service provided was substantially or predominantly provided by electronic means. A common example of the first case would be a three party situation where an intermediary service provider facilitates a transaction between a user and an independent service provider/seller. While the intermediary provides added value, the trader here pursues an independent business. In a two party situation – where the intermediary provider is also the provider of a service not provided by electronic means, the two elements cannot be seen as separable; rather, they ‘form an inseparable whole’ [para 35]. In that instance, it will be necessary to see if the composite service falls within the second category; that is, whether the bundle falls within the eCommerce Directive or outside it. For determining the answer to this second question, the key element is where the economic value lies. So where the main component is performed online that service should be classified as an information society service (assuming the other elements of the test are met); conversely, where it is not then the service does not fall within the eCommerce Directive. The Advocate General, citing Ker-Optika (Case C-108/09) suggests that this test would be satisfied in the case of online sales (via the seller’s own website). Delivery of goods is ‘simply the performance of a contractual obligation’ [para 36]. ‘… Uber exerts control over all the relevant aspects of an urban transport service …. (…) Uber therefore controls the economically significant aspects of the transport service offered through its platform’ [para 51]. ‘Uber’s activity comprises a single supply of transport in a vehicle located and booked by means of the smartphone application and this service is provided, from an economic standpoint, [citations omitted] by Uber or on its behalf’ [para 53]. The Advocate General sought to distinguish the activity of Uber from intermediary services on the basis that Uber drivers do not carry out an independent activity. Instead, their activity exists solely because of the existence of the platform. By contrast, flight or hotel booking systems are separate from the independent services operated by the hotels and airlines and for whom the websites are just one mechanism of advertising their services. Furthermore, it is the hotels and airlines which control the prices and the conditions on which their services are offered. Finally, a choice is offered to the user between hotels/airlines. In opposition to the Commission’s views on the sharing economy, the Advocate General did not think that the fact that Uber did not own the cars was determinative. Uber is more than a ‘mere taxi booking application’ [para 64]. Because of the extent of the innovation on the transport sector caused by the way the apps links drivers and passenger and the conditions on which it does this, ‘it is undoubtedly the supply of transport which is the main supply and which gives the services the economic meaning’ [para 64]. The supply of connection services is ancillary to this. Having determined that Uber’s services do not fall within the eCommerce Directive, the Advocate General considered the Services Directive: Article 2(2)(d) specifies that the Services Directive does not apply to transport services. The Advocate General confirmed that Uber’s taxi services were transport services in the context of Article 2(2)(d) Services Directive as recital 21 refers to ‘urban transport [and] taxis’ [cited para 68]. The service likewise falls within the exception to the Treaty rules on free movement of services (Article 58(1) TFEU) and therefore subject to the specific transport sector rules in Article 90 TFEU et seq. ‘does not preclude requirements relating to the activity of transport in the strict sense being established in national law or the imposition of penalties on Uber for failing to comply with those requirements, including by means of an injunction ordering it to discontinue the service’ [para 88]. That any trade-related online activity, be it merely incidental, secondary or preparatory in nature, which is not economically independent is, per se, an information society service (para 37). The opinion re-iterates this point when considering the app as an information society service (see below). The significance of this is that the eCommerce Directive cannot be used to avoid regulation of the main service, at least to the extent that such regulation is not a barrier to trade unacceptable to EU law more generally and as exemplified by the Services Directive, just because some aspect of the business is on-line. This leads to a second general point: the Opinion is noteworthy for the way it manoeuvred the circumstances of the case around to the twin obstacles to national regulation of the eCommerce Directive and the Services Directive, especially given that the Commission, in its Communication on the Collaborative Economy (COM(2016)356) seem to view the Services Directive in particular providing a basis for such services. The tests identified by the Advocate-General will not seem unusual – talking about whether the different elements of a composite service are severable or preponderantly one thing or another can be seen elsewhere, for example in the case of goods and services (an example of which is given by Advocate General Szpunar in his reference to Ker-Optika, para 36), or even questions of competence. some of which may affect the running of hotels or B&Bs. Further, the directive does not apply to taxation (Article 2(3)), so for example, taxes on short term lets may be unaffected by the Services Directive (though dealt with under the TFEU). A further point that is worthy of note is the consequence of seeing Uber and the drivers as providing separate services. The requirement to have a licence to provide a connection service in the context of transportation would fall within the scope of the eCommerce Directive and would be caught be the prohibition on authorisations set out in Article 2(h)(i); the Advocate General was of the opinion that is was unlikely that any restriction on the electronic aspect of the service could be justified by considerations of public interest. The prohibition does not, however, extend to the regulation of transport services - they are not provided by electronic means. So the regulation of taxi services remains possible and, as noted, Uber remains responsible for the drivers’ activities (para 86). Arguing Uber’s activity as whole should benefit from the liberalising principles in the eCommerce Directive would run the risk of undercutting any form of regulation ‘because all traders are currently in a position to offer services by electronic means….’ (para 87). Could a similar argument be put forward in other sectors of the sharing economy? In principle, yes, but presumably only where the platform has exerted Uber-like control over the actual provision of the services. Even when the Grand Chamber Court of Justice has handed down its ruling, this will not be the end of the Uber saga. Currently pending before the Court is a reference from France concerning the imposition of penalties on Uber for running an unlicensed taxi service: Case C-320/16 Criminal Proceedings against Uber France, which raises the question of whether France should have notified its rules as a technical regulation under Directive 98/34. A few months ago, we saw the first annulment by the EU’s General Court of a Commission Decision refusing registration of a proposed European Citizens’ Initiative (ECI), in the case of Minority SafePack. Last week, there was an even bigger development in the case law of the General Court regarding the interpretation of the ECI’s legal admissibility test: in the Stop TTIP case the Court annulled another Commission’s Decision, this time not on a procedural ground such as the one in Minority SafePack, but on the substantive ground that the Commission breached Article 11(4) TEU (which sets out the power to adopt the ECI law), and Articles 2(1) and 4(2)(b) of the ECI Regulation, which sets out one of the criteria for the legal admissibility test. In Stop TTIP, the General Court clarified a matter of contention between ECI organisers / stakeholders and the Commission viz. the scope of an ECI and, more specifically, the way in which the Commission had limited the acceptable subject-matters for the purposes of registering an ECI. These limitations were stipulated in the Commission’s letter of response regarding the refusal of registration for the proposed ‘Stop TTIP’ Initiative, which was submitted for registration in July 2014. The Initiative proposed to cease the negotiations for the Transatlantic Trade and Investment Partnership agreement (TTIP) between the EU and US, and to prevent the conclusion of the Comprehensive Economic and Trade Agreement (CETA) between the EU and Canada. In more detail, ‘Stop TTIP’ had invited the Commission to ask the Council to repeal its decision to authorise the opening of the TTIP negotiations under Article 218(2) TFEU (which is the legal rule on the process of the EU negotiating treaties). It also asked the Commission to submit a proposal for a Council decision not to conclude CETA. In September 2014, the Commission replied to the organisers that both their proposals had been rejected on the basis of Article 4(2)(b) in conjunction with Article 2(1) of the ECI Regulation, because they fell outside the framework of the Commission’s powers to submit a proposal for a legal act of the Union for the purpose of implementing the Treaties. The Commission’s reply revealed two limitations on the scope of the ECI. First, the Commission stipulated that an ECI cannot invite the Commission to adopt preparatory acts. The Commission argued in its reply that its proposals to the Council under Article 218 TFEU to authorise the opening of negotiations for international agreements were not proposals for legal acts. The Council Decisions authorising the opening of negotiations for an international agreement are preparatory acts that produce legal effects only between the EU and its Member States and between the EU institutions. Therefore, the Commission’s relevant proposals to the Council lacked legal effect against third parties. Accordingly, the position of the Commission was that ‘Stop TTIP’ was not proposing any legal acts for the purpose of implementing the Treaties and could not be registered. Second, the Commission declared that an ECI cannot invite the Commission to propose a decision not to adopt a legal act such as a proposal not to conclude CETA, or to refrain from proposing a legal act. Such a proposal ‘would not deploy any autonomous legal effect beyond the fact of the legal act at issue not being adopted.’ The negative nature of the ‘Stop TTIP’ proposals, together with the fact that it arguably did not propose ‘legal acts’ as required by Article 11(4) and Article 2(1) ECI Regulation, led to the refusal by the Commission to register it. Notably, the limitations imposed by the Commission are not clearly indicated in the ECI Regulation. Instead, they resulted from the Commission’s own interpretation of the ECI’s legal framework. After the Commission’s rejection, the ‘Stop TTIP’ organisers followed a twofold course of action: they brought a case before the EU General Court, which is the first instance part of the Court of Justice of the European Union (CJEU), contesting the Commission’s decision to refuse registration of their Initiative, and they started what they named ‘a self-organised ECI’, which was a campaign to collect signatures outside the contours of the ECI’s legal framework. The campaign went on to collect more than 3 million signatures, which the organisers handed over to the Commission in October 2015. It becomes apparent from the above overview that the significance of the General Court’s judgment in the Stop TTIP case does not derive only from the question of whether the specific Initiative was wrongly refused registration, but also from the question of whether the ECI’s scope to propose EU action was rightly limited by the Commission beyond what is explicitly written in the ECI Regulation. In this sense, the General Court’s judgment is a milestone both for the ECI organisers themselves and for the functioning of the ECI as a mechanism for citizens’ participation. This short commentary will touch upon the key aspects of the judgment. The applicants in the case made two main arguments. They claimed that the Commission (i) breached Article 11(4) TEU and Article 4(2)(b) of the ECI Regulation, and (ii) breached the principle of equal treatment (Article 20 of the EU Charter of Fundamental Rights) because it had registered in the past the ‘Swissout’ Initiative which had very similar objectives with ‘Stop TTIP’. The judgment focused on the first ground of review and did not deal at all with the second. In support of their claim, the applicants brought forward three main arguments. Firstly, they argued that the Council’s Decisions authorising the conclusion of an international agreement under Article Article 218(5) TFEU is not a preparatory act. With regard to the Initiative proposals concerning the CETA negotiations, which were already taking place at the time of the request for registration, a Decision by the Council to the Commission not to conclude CETA would not be a preparatory act but an act with legally binding effects. Regarding the Initiative proposals concerning a proposal by the Commission to the Council to repeal the Decision authorising the negotiations for TTIP, such a Decision would result to the termination of the negotiations, and would have been final and legally binding. In any case, the scope of an ECI should not be limited to proposing legal acts with definitive, legally binding effects vis-à-vis third parties. Neither the background to the ECI Regulation, nor the ECI’s overall regulatory framework call for such a restrictive reading of the term ‘legal acts’ (para 12). Secondly, the applicants argued against the Commission’s position that an ECI cannot concern acts that deploy legal effects only between the institutions concerned. For the purposes of the ECI, the term ‘legal act’ should be defined broadly in light of Articles 288 – 292 TFEU, and should include Commission’s Decisions that are outside the ordinary legislative process (para 13). Thirdly, the applicants referred to the potentially ‘destructive effect’ of the proposed Initiative on the negotiations for TTIP and CETA. This alleged ‘destructive effect’ cannot be put forward as a ground for refusal under the rationale that the Initiative’s proposals did not have the purpose of implementing the Treaties. In the view of the applicants, ‘the right of citizens to participate in the democratic life of the Union includes the possibility of citizens acting with the purpose of modifying, reforming, ratifying, or asking for a partial or total annulment of EU law’ (para 14). The Commission’s main counter-arguments supported the position expressed in its 2014 letter of response to the organisers. The Commission reiterated its position that the Council Decision to approve the opening of negotiations for an international agreement is only preparatory because it only produces legal effects between the two EU institutions. Based on a ‘systematic and teleological interpretation’ of Articles 2(1) and 4(2)(b) of the ECI Regulation, it can be concluded that an act of preparatory character falls outside the definition of a ‘legal act’ for the purposes of registering an ECI (para 19). This argument was further supported by the assertion that the notion of democratic participation in the EU refers to the participation of citizens only in matters which (potentially) fall under their legal sphere. Instead, the Council and the Commission enjoy sufficient democratic legitimacy to be the ones to adopt acts that affect the relationship between the EU institutions (para 20). In addition, the Commission repeated its argument that an ECI cannot ask it not to propose a particular legal act or to propose a decision for the non-adoption of a legal act. Interestingly, it referred to Article 10(1)(c) of the ECI Regulation which deals with the final stage of the ECI process, whereby the Commission is obliged to issue a Communication setting out ‘the action it intends to take, if any’. From this, the Commission concluded that only ECIs that aim to the adoption of a legal act or to the repeal of an existing legal act can be registered. Otherwise, a declaration by the Commission that, as a response to an ECI, it does not aim to propose the adoption of a legal act would have excessively limited the Commission’s monopoly of legislative initiative. According to this argument, an ECI asking for the Council to repeal a Decision opening the negotiations or asking it not to conclude an agreement, would have been an ‘unacceptable interference’ in an on-going legislative procedure (para 21). The General Court began with a reference to the ECI’s legal framework. It mentioned Article 11(4) TEU, and the ECI Regulation, specifically Article 2(1) (definition of the ECI), Article 4(2)(b) (the legal admissibility test), and Article 10(1)(c) (the obligation of the Commission to respond to a successfully submitted ECI) (paras 23-27). It then explained that the ECI organisers had not asked the Commission not to submit a proposal to the Council for the signing and conclusion of TTIP and CETA. Instead, the organisers asked the Commission to submit to the Council two proposals: (a) a proposal to recall the authorisation for the opening of negotiations for TTIP; and (b) a proposal not to authorise the signing of TTIP and CETA and thus not to conclude these agreements (para 28). As such, the Court also clarified that the current case did not contest the competence of the Commission to negotiate TTIP and CETA. Instead, it was a challenge to the reasons given by the Commission for the refusal of the proposal (para 29). Subsequently, the Court specified that the Commission has the competence to act in the way asked by the applicants, i.e. to submit to the Council the two proposals (paras 30-32), and went on to deal with the question of whether these actions can be excluded from an ECI either because they are preparatory acts, or because they are not necessary for the implementation of the Treaty, as the Commission had argued (para 33). On the definition of a ‘legal act’ for the purposes of an ECI, the Court sided with the applicants: the notion of ‘legal act’ in Article 11(4) TEU, and Articles 2(1) and 4(2)(b) of the ECI Regulation cannot be interpreted to include only final EU acts with legally binding effects vis-à-vis third parties. The Commission’s position is not justified by the letter of the law or by the overall purpose of these provisions. This was all the more so since the actions in question, which concerned the conclusion of an international agreement, fit squarely into the definition of a ‘Decision’ in accordance with Article 288(4) TFEU, as clarified in Case 114/12 Commission v Council. Besides, a broad interpretation of ‘legal act’ is mandated by the democratic principle on which the EU is founded (Article 2 TEU) (paras 35-37). In addition, the Court rejected the Commission’s argument that the Initiative could not have been registered because the suggested actions did not aim to the implementation of the Treaties and thus were destructive to the law-making process. According to the Court, there is nothing in Article 11(4) TEU or Article 2(1) ECI Regulation indicating that citizens cannot act through an ECI in order to prevent the adoption of a legal act. Furthermore, the conclusion of TTIP and CETA would have modified the EU legal order. As such, by advocating to stop the two agreements, the ‘Stop TTIP’ organisers were actually acting for the implementation of the current Treaties (para 41). In any case, Initiatives that propose the non-signature and non-conclusion of an international agreement produce legal effects since they may prohibit the modification of EU law intended by the said agreement (para 43). Lastly, even though the Court did not explicitly address the applicants’ second claim on the unequal treatment of their Initiative in comparison with the Swissout Initiative, it did address the paradoxical situation that resulted from the treatment of the two Initiatives. This paradox resulted from the fact that, according to the Commission’s interpretation, an ECI could propose the termination of an existing international agreement but not the termination of the negotiations towards such agreement. The Court took a citizen-friendly approach in saying that citizens should not be obliged to wait until an agreement is concluded before they can contest the conclusion of the agreement through an ECI (para 44). In this sense, the Court has put proposals asking for the termination of negotiations on a par with those asking for the opening of negotiations, and has interpreted the scope of the ECI as being capable of encompassing both type of proposals. I had commented on an earlier publication that the ‘Stop TTIP’ case was a good opportunity for the CJEU to step in and point out the correct interpretation of Article 4(2)(b) of the ECI Regulation regarding proposals concerning the conclusion of international agreements. It would seem that the General Court has seized that opportunity. The judgment widens the scope of the ECI by completely overruling the Commission’s interpretation of legal admissibility in the particular context. In this sense, the judgment is a positive and constructive development not only for the ECI organisers, who had been waiting for it for almost three years, but also for those interested in starting an ECI campaign on a topic related to an international agreement, as well as for ECI stakeholders who have been calling for a more flexible legal admissibility test. What makes the case especially interesting is the extensive reliance of the Court on the nature of the ECI as a democratic participation mechanism that intends to foster democratic dialogue and give citizens the opportunity to address the Commission in order to request action. For instance, the Court implicitly rejected the Commission’s first argument that a potential breach of Article 11(4) TEU was irrelevant and that the only relevant legal text should be the ECI Regulation which is based on Article 24 TFEU and stipulates the details of the legal admissibility test. Both the Court’s interpretation of ‘legal acts’ for the purposes of registering an ECI (paras 35-36) and that of ‘implementing the Treaties’ (para 41) relies on a joint reading of Article 11(4) TEU and the relevant provisions of the ECI Regulation. The Court even considered the ECI in light of the fundamental principle of democracy as included in the Preamble of the Treaty and the EU Charter of Fundamental Rights in order to broaden the scope of the right to bring an ECI beyond the Commission’s delineation (para 37). In addition, the Court has held a more restrictive view than the Commission on what is an ‘unacceptable interference with the adoption of a legal act’ when it comes to an ECI. According to the Court, the very notion of citizens’ participation in the democratic life of the EU - of which the ECI is part - includes the possibility to ask for the modification, as well as the partial or total repeal of legal acts. A true form of citizens’ participation in the democratic life of the EU should give the opportunity to citizens to obstruct, or interfere with, the adoption of a legal act. Since it is entirely up to the Commission to decide the follow-up of a successfully submitted ECI after the public hearing of that ECI (Article 10 ECI Regulation), it could not be said that the registration of ‘Stop TTIP’ would have been an unacceptable interference with the legislative process or that it would have breached the principle of institutional balance (paras 45-46). It would seem, therefore, that the Court has taken into consideration the overall discretion of the Commission at the end of the ECI process when interpreting the legal admissibility test, which takes place at the beginning. Given that this is only the second time that the General Court annuls a Commission’s decision to reject a proposed ECI, the answer to the question ‘what happens now?’ is not entirely clear. After the Minority SafePack case, the Commission registered the part of the ECI that it considered admissible. As a response to the judgment, the Commission also issued a Decision elaborating on its reasons for only registering part of the ECI. The situation this time around is more complicated. 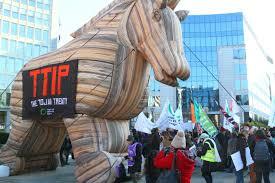 As mentioned above, the ‘Stop TTIP’ organisers went ahead with collecting signatures despite the refusal of their ECI. Impressively, within one year (October 2014 – October 2015) the campaign collected around 3.3 million signatures, more than any of the formally registered ECIs. Subsequently, the organisers stated in their website: ‘we demand that the European Commission treat us like a regular ECI which means we expect an official response from the European Commission and a public hearing in the European Parliament.’ The Commission is now faced with interesting dilemmas: Will it register the ECI or pursue the case further by appealing before the European Court of Justice? If it does register the ECI, will it accept the collected signatures or will it oblige the organisers to start over? In its plans to propose revisions to the ECI in the near future, will the Commission try to overturn the new judgment – or accept and fully incorporate it? The factor of time also makes the upcoming Commission’s response to this case particularly noteworthy. Between 2014 and 2017 we have seen major developments with regard to TTIP and CETA, including 15 negotiating rounds on TTIP up to October 2016 and a proposal in July 2016 by the Commission to the Council for the signature and conclusion of CETA. More recently, the European Parliament voted in favour of CETA after Wallonia nearly blocked the agreement. All of these developments are in fact the exact opposite of what the ‘Stop TTIP’ organisers were requesting in their proposal, which indicates the importance of momentum to an ECI’s overall success. On a final note, I wonder what the implications of the General Court’s judgment are with regard to future ECIs relating to Brexit. It would seem that the judgment has opened the door to ECI proposals objecting to a possible future agreement on the UK-EU relationship, assuming that such an agreement will be eventually negotiated on the basis of Article 207 and 218 TFEU. Of course we have a long way to go before this issue even becomes relevant – if it ever becomes relevant at all. However, such a scenario would certainly open a new dimension to citizens’ participation and voice in the Brexit process. Meanwhile, let’s see how the Commission will respond to Stop TTIP and how the organisers will continue their campaign. The judgment is not available in English yet. This commentary is based on my own translation from the Greek version and any translation errors are mine. 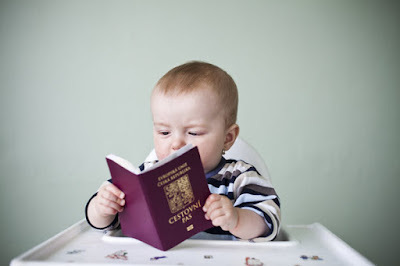 The Dutch government’s desired focus on the capability of the EU citizen parent takes a back seat to the child’s best interests, as further elaborated by the Court. This will protect more non-EU parents, but in a differential way. Oddly, the Court’s case law does not take express account of situations of joint custody, or the more general argument that the child’s best interest will usually be to maintain strong relationships with both parents (assuming they are not negligent or abusive). Tommaso Poli, LL.M. candidate in Human Rights and Humanitarian Law at the University of Essex, School of Law. The case relates to an Iraqi man and his two minor children who were travelling from Hungary in the Czech Republic, without any documentation to establish their identity, with the aim of joining family members in Germany. 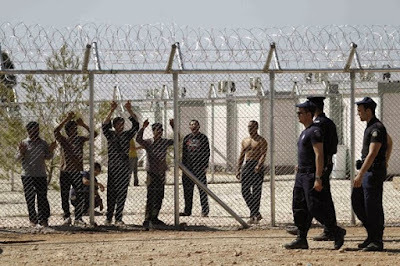 After stopping the Al Chodors, the Czech Foreigners Police Section (FPS) consulted the Eurodac database and found that they had made an asylum application in Hungary. As a consequence, the Al Chodors were subjected to the transfer procedure according to Article 18(1)(b) of the Dublin III Regulation. In addition, the FPS took the view that there was a ‘serious risk of absconding’, given that the Al Chodors had neither a residence permit nor accommodation in the Czech Republic, while they were waiting for their transfer to Hungary. The Supreme Administrative Court was uncertain whether the recognition by its settled case-law of objective criteria on the basis of which the detention of persons pursuant to Paragraph 129 of the Law on the residence of foreign nationals may be carried out can meet the requirement of a definition 'by law' within the meaning of Article 2(n) of the Dublin III Regulation, in so far as that case-law confirms a consistent administrative practice of the FPS which is characterised by the absence of arbitrary elements, and by predictability and an individual assessment in each case. So the Court decided to refer to the European Court of Justice for a preliminary ruling asking whether Article 2(n) and Article 28(2) of the Dublin III Regulation, read in conjunction, must be interpreted as requiring Member States to establish, in a national law, objective criteria underlying the reasons for believing that an applicant for international protection who is subject to a transfer procedure may abscond, and whether the absence of those criteria in a national law leads to the inapplicability of Article 28(2) of that regulation.